In his first short story collection, novelist Tim Weed shows his stunningly impressive range—transporting readers from the heights of the Andes and the depths of the Amazon to the backstreets of Rome and Granada. His eye for detail and precise gift for language reveal a writer with a panorama of expertise: a man who knows birds and fish, camping and skiing, blue collar New England and hippie Colorado and the seedy underbelly of Cuba. He can sum up an entire world in the turn of a perfect phrase: “Santiago was a hilly city, like a disintegrating San Francisco”; “The air cooled noticeably, and fast-moving tongues of fog swept over the hillsides as if preparing to devour them”; “the suburban development…was then pressing southward over the prairie like the invasion of a fast-growing geometrical fungus.” One of my favorite all-time sentences appears in his story of utility linemen laboring on the outskirts of Denver: “His eyes—usually vague and bewildered, as if he’d gone to sleep beside a campfire and woken up beside a six lane highway—had become small and mean, like one of those black-and-white archive photographs of Appalachian dirt farmers.” Many of Weed’s stories have a hint of the mysterious, even the supernatural, but they are all grounded in sharply-rendered material worlds so fresh one feels one might step directly into the literary photographs he has created and stroll around for a while. A top-notch debut, not to be missed. 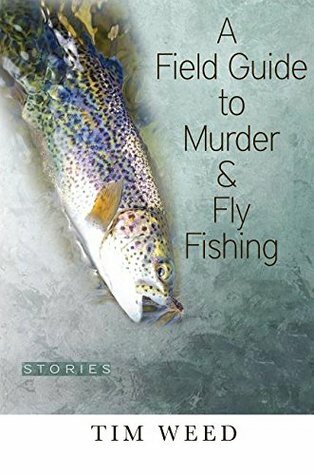 Sign into Goodreads to see if any of your friends have read A Field Guide to Murder & Fly Fishing.